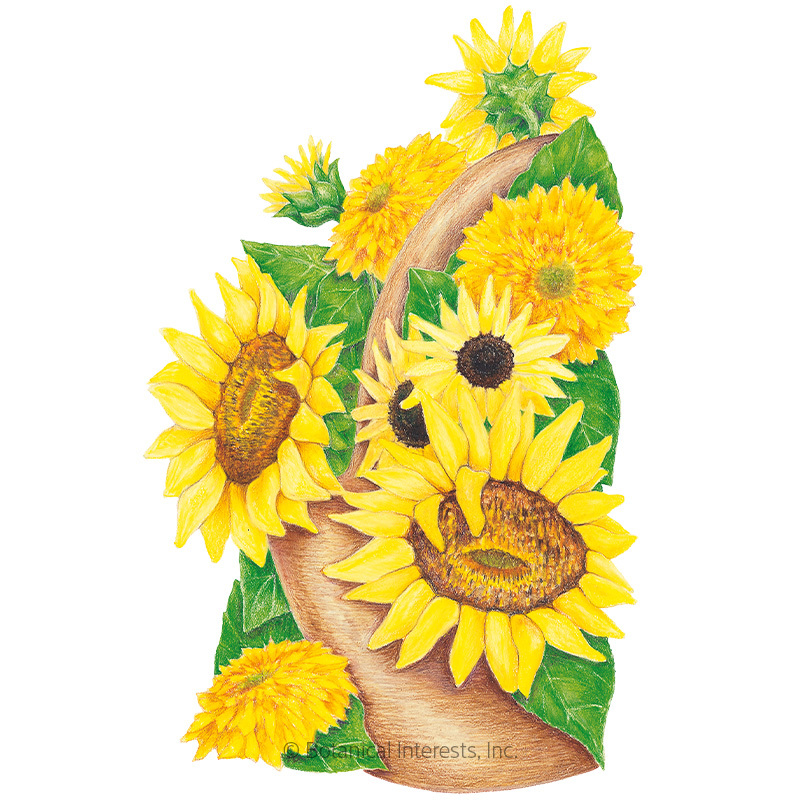 Native Americans have long valued sunflowers for food, medicine, dye and decoration. 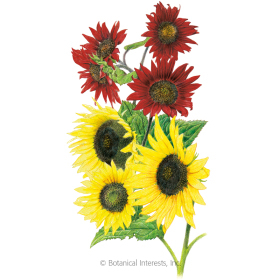 The popular 'Mammoth Russian' sunflower has been grown in gardens since the late 1800s. Known for spectacular height, giant flowers and abundant seeds, this easy and fast to grow variety also tolerates drought and poor soil and attracts pollinators. Ideal for a temporary hedge or privacy screen. 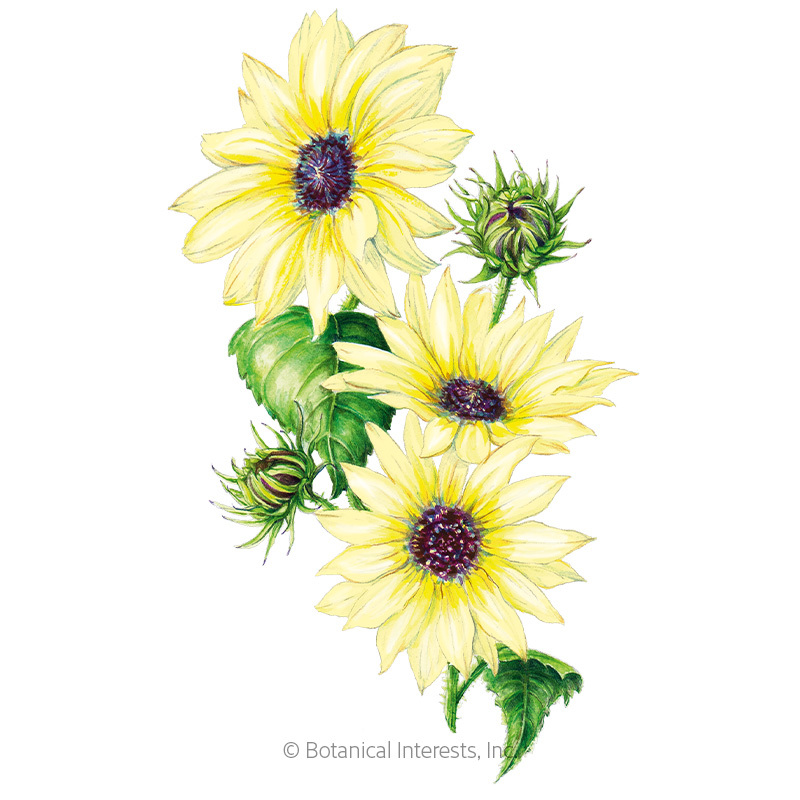 Variety Information: Up to 12"-wide flower with yellow petals and a brown center. Single type. Thinning: When 3" tall, thin to 1 every 24"
Harvesting: Seeds are ready to harvest when the back of the head has dried and turned brown, about 4 weeks after the flowers have been pollinated. Petals will have wilted and fallen off, and the seeds will be plump, and colored white with gray/black stripes. Seeds ripen around the outside of the flower first; the ones in the center will ripen last. Average yield is approximately 1 pound per head.